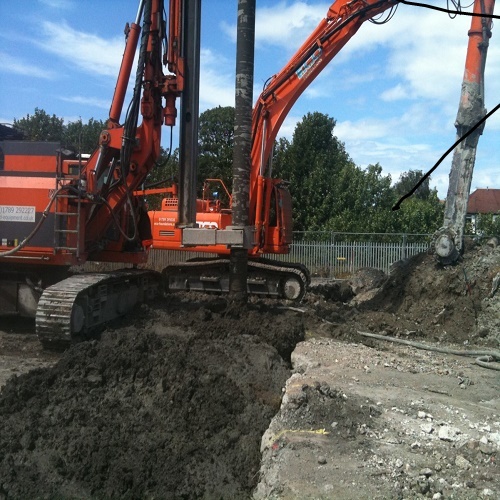 Deep Soil Mixing Ltd ground stabilisation specialists have been using their technology to resolve settlement problems for utility companies during pipeline installations – and all at a reduced expense, time, and using environmentally friendly solutions. 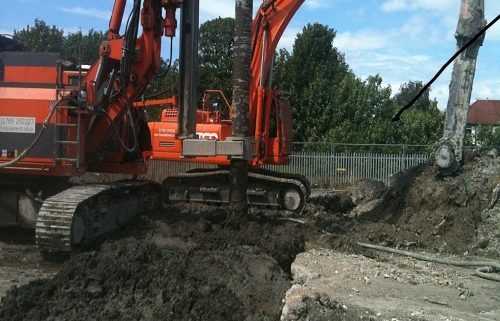 Deep Soil Mixing Limited, say that this technology is now being more widely used as a construction process for ground stabilisation projects within the UK and Republic of Ireland. Reducing settlements for soft soil types like saturated peats, silts and soft clay is difficult and current answers are extremely costly – however, this specialist firm has a proven track record of offering an effective alternative to utility companies thanks to its deep soil mixing technology. By mechanically mixing the existing soil with a cementitious binder, deep soil mixing changes the characteristics of weak soil and makes it more like soft rock but can still be excavated by traditional methods. This enables more efficient and effective pipeline installations as well as greater ground stability. Due to the fact natural resources are spared during this process, installations take less time overall having fewer associated costs and carbon emissions compared to other methods. Robert McGall, Managing Director explains: “While the method for improving the characteristics of non-organic soils by using soil mixing techniques to reduce settlement, increase the stability of slopes and embankments is an established one, it is both more challenging and often more costly to increase the firmness of soft organic soils like peat, silt and clay – until now, that is. “We’re extremely proud of our deep soil mixing columns as we know they provide clients with an excellent solution for pipeline installation and other ground improvement requirements. Having successfully delivered soil mixing techniques for pipeline projects for utility companies, the firm has the knowledge and expert equipment to ensure the companies benefit in lots of ways. “Benefits of deep soil mixing include reducing project cost, carbon footprint and timelines,” adds Robert McGall. Deep soil mixing techniques have already been used with great success by the company for various projects including strengthening of the sea beds for construction infill work to take place, repairing and realignment of canals, stabilising river embankments even when slippage has occurred, providing impermeable barriers to stop leaching of contaminants, construction of cofferdam infrastructures, reduction of settlement to small structures, sea defence works, and flood prevention schemes.